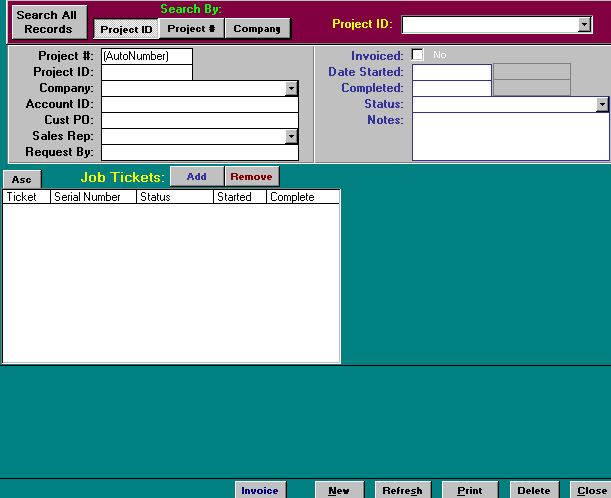 The PROJECTS module is used to group many tickets(i.e. PM checks, new sales etc.). This allows the job tickets to be billed on one invoice with line items combined in Peachtree® Accounting.